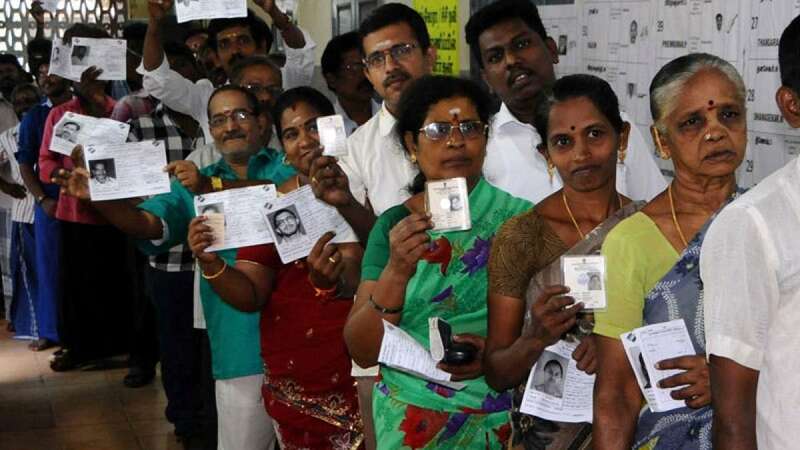 Chennai : Ballotting for the Radhakrishnan Nagar (R.K. Nagar) Assembly by-poll on Thursday saw over 60 per cent voting, Election Commission officials said. The major contenders are AIADMK's E. Madhusudhanan, DMK's N. Marudhu Ganesh, T.T.V. Dinakaran - contesting as an Independent - and Bharatiya Janata Party's K. Nagarajan. Election, which ended at 5 p.m., saw brisk ballotting.